bareMinerals Marvellous Moxie Gloss Hypnotist lip gloss is one of the most exciting I’ve seen in a long time. 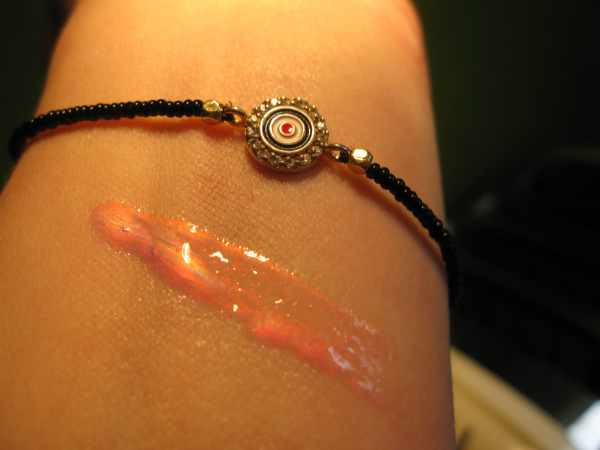 It’s a kind of pink/peach/violet holographic look that goes more to pink on the arm and more to peach on the lip. It’s really quite something and I think come summer, this is going to look amazing when the light starts to catch it. 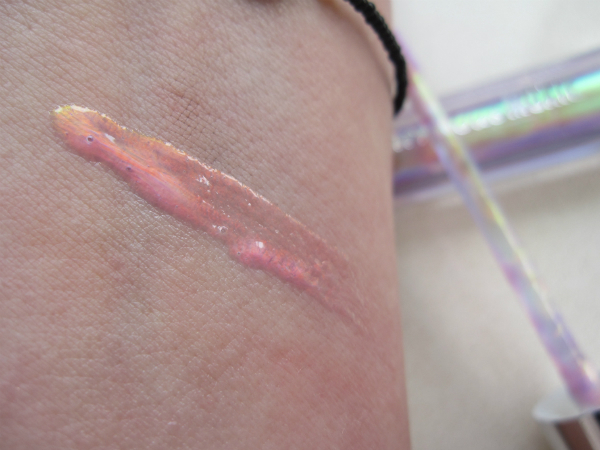 As you can see on the arm it looks quite pink so the base shade it goes over plays a part in just how the holo works. 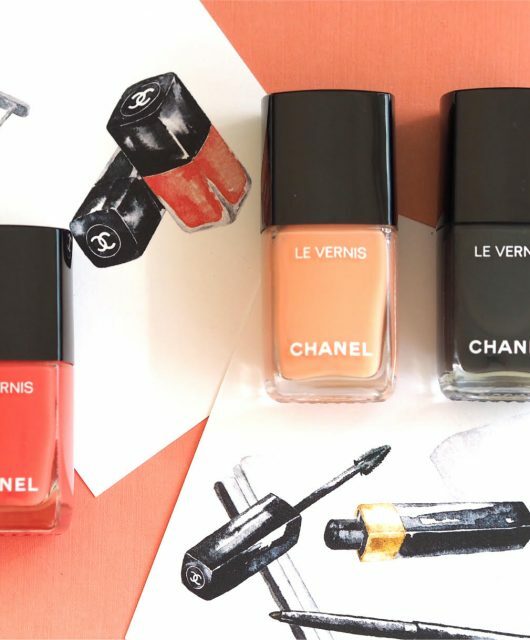 It’s worth experimenting with putting it over different lipsticks as well to see what happens. I’ve done another swatch under artificial light (just next to the toaster!) so you can see how it looks ‘warmed up’. One little tip if you do decide to invest, you need to scoop the wand around in the formula a bit before applying to get as much holo effect as possible. 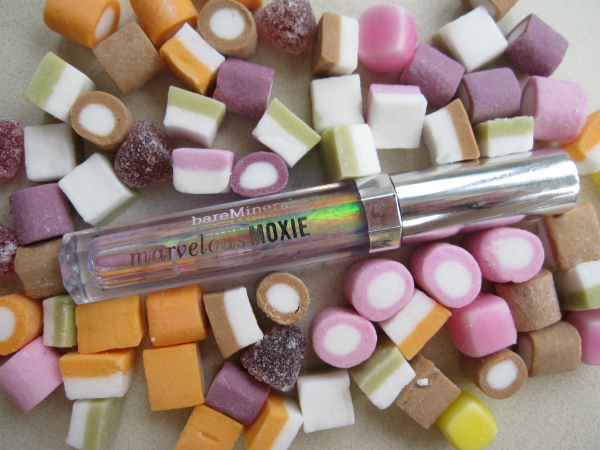 bareMinerals Marvellous Moxie Gloss Hypnotist is £16 and launches in May. Can’t say I’ve ever seen a holographic lipgloss before! I’m thinking it might make you look a bit like a futuristic robot person, but I’d be willing to give it a go just for the novelty factor. So unique to anything else I’ve ever seen. I remember that a few years ago estee lauder released similar glosses! Wow, this looks so cool! I would love to see some lip swatches. Although I think it’s one of those products that’s gonna look totally different on different people, it’d still be interesting to see. Thumbs up for a new innovative product! Didn’t Estee Lauder release one of these a few years back? I want it…..I can imagine it will go with any skin tone too! 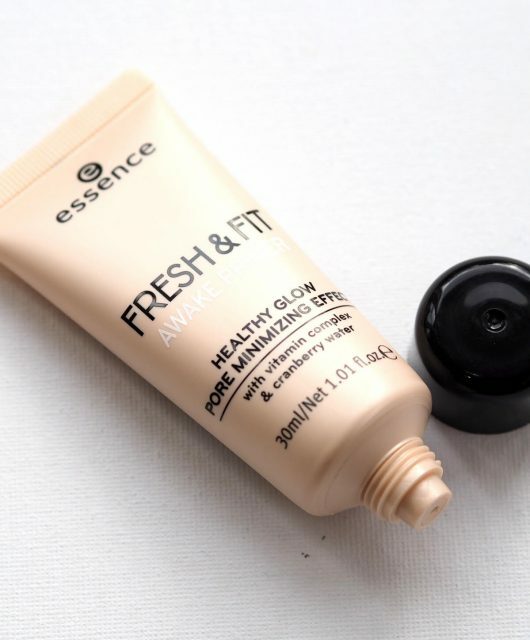 For a gloss this looks pretty exciting! Thanks for the application tip – this one looks fun! Oh my gosh this is such a beautiful shade! Going on my list of items to buy NOW! What a pretty bracelet too! 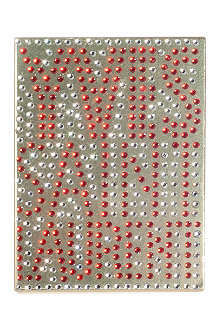 Yes Estee Lauder did this too and mine was finished ages ago because I wore it so much. Need!